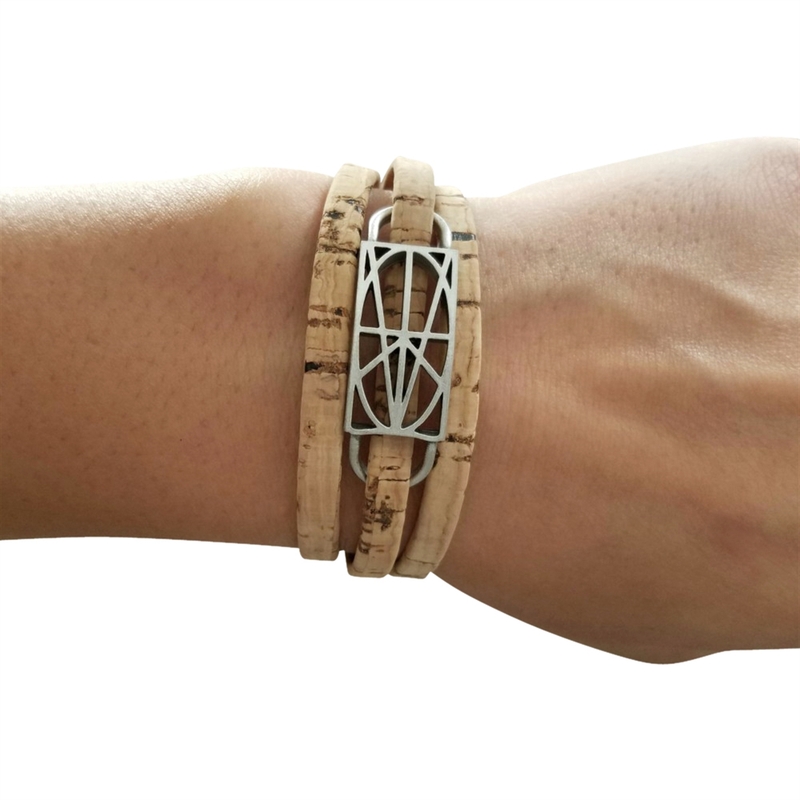 Size Small: 6" Medium: 6.5" Large: 7"
This 3 strand cork bracelet is a favorite among outdoor enthusiasts, spiritual warriors and Yogis! It is an everyday bracelet that can blend into any look. The Zymbol is cast in pewter and it has a silvertone magnetic clasp that makes taking it on & off easy peasy! Zymbol on this bracelet measures 7/8" x 1/2". Total width of bracelet is around 3/4". S - fits wrists up to 6"
M/L: fits wrists up to 6.5"
L/XL: fits wrists up to 7"